The general legislation relating to tax administration and controversies is the Tax Code of Ukraine (the Tax Code). The Tax Code specifies tax rates, tax exemptions and the procedures and mechanisms for tax assessments and payments. Provisions of the Tax Code may not be introduced or changed by legislative acts other than special tax laws. In addition to the Tax Code, the Code of Administrative Procedure of Ukraine (the Administrative Procedure Code) stipulates the administrative procedure for appealing the actions and decisions of the tax authorities (including tax assessments). Tax authorities issue: (i) an individual tax ruling in response to the taxpayer’s request for a tax law clarification; and (ii) a general official tax ruling, in which the tax authorities state their official position with respect to a particular tax issue. The taxpayer may not be held liable by the tax authorities for a violation of the tax laws as a result of the taxpayer’s reliance on either an individual tax ruling or a general tax ruling. The taxpayer may act upon either of such tax rulings until it is revoked or succeeded by a controlling ruling on the same subject matter. In addition to the local tax legislation, Ukraine has a network of more than 70 tax treaties, most of which are based on the OECD Model Convention. The provisions of tax treaties take priority over the national legislation in cases of conflict. Almost all of these tax treaties provide for a competent authority procedure for resolving double tax issues. At the same time, no implementing regulations have been adopted in Ukraine yet. The State Fiscal Service (SFS) is the central executive authority coordinated by the Cabinet of Ministers of Ukraine through the Minister of Finance and implements state tax and customs policies. The SFS controls the transfer of taxes, fees, customs duties and other charges to the public budgets and state specialised funds. The SFS internal structure consists of three levels: (i) national level - the Administration of the SFS; (ii) regional level - consists of regional departments for Kyiv city, regions and service of big taxpayers; and (iii) local level - district tax inspections. The administration of the SFS consists of various departments, including legal, audit, taxation of legal entities and taxation of individuals. The Tax Code defines big taxpayers as Ukrainian legal entities or permanent establishments of the non-resident that within four consecutive quarters received income of €50 million from all types of business activities, or whose taxes paid to the state budget for the four consecutive quarters exceeded €1 million. The tax authority uses tax audits to verify compliance of taxpayers with the tax laws and ensure timely payment of taxes. Since 1 January 2017, only tax authorities at regional and national level can conduct documentary and factual tax audits. A cameral audit is generally carried out by the Ukrainian tax authorities with respect to all of the taxpayers’ filings. The audit is conducted by the tax auditors in the tax office on the basis of the tax returns and other mandatory filings of the taxpayer related to the computation of the latter’s tax liability. A cameral tax audit of the filed tax return may be conducted within 30 calendar days after the filing deadline for the tax return or the date of actual filing if the tax return was filed after the deadline. Generally, during a cameral tax audit, the taxpayer’s tax returns and other mandatory filings are reviewed, inter alia, from the standpoint of their timeliness, completeness and correctness, as well as for possible arithmetic or methodological errors which may have been committed by the taxpayer in ascertaining its tax liability. Documentary audits can be scheduled (planned) or unscheduled (not planned). In addition, depending on whether the audit is conducted within the taxpayer premises, the audit could be either on-site (within the taxpayer’s premises) or off-site (within the tax office premises). The taxpayer must be informed in advance about the forthcoming scheduled tax audit by being served at least a 10-day prior written notice indicating the dates on which the audit will be commenced and completed. The duration of a scheduled on-site tax audit may not exceed 20 business days, except for the audit of a small business, which may not exceed 10 business days or 30 business days for big taxpayers. Under certain conditions, the duration of the audit may be prolonged by an additional 10 business days for most taxpayers, five business days for small businesses, and 15 business days for big taxpayers. Planned tax audits are carried out according to a plan scheduled by the tax authorities with regard to the risk assigned to taxpayers (low, medium and high risk). The Tax Code defines that low-risk taxpayers may be inspected no more often than once per three years; medium-risk taxpayers may be inspected no more often than once per two years; and high-risk taxpayers may be inspected no more often than once per year. Unscheduled tax audits may be conducted only under certain conditions, the list of which is set out in the Tax Code. An unscheduled on-site tax audit is carried out at the location of a taxpayer pursuant to a formal written decision of the tax authority with audit jurisdiction over the taxpayer. The duration of an unscheduled on-site tax audit may not exceed 10 business days, except for the audit of a small business, which may not exceed five business days, or 15 business days for big taxpayers. Under certain conditions, the duration of the audit may be extended by an additional five business days (two business days for a small business or 10 business days for big taxpayers). Factual audits are conducted without warning to the taxpayer. The factual audit must be performed at the factual place (premises) where the taxpayer conducts his or her economic activity or at the location of another taxpayer’s object of property. The factual audit concerns compliance with the procedure of execution of payment and cash transactions, licence, patents and existence of certificates, including certificates of registration, production and circulation of excisable goods, and compliance with labour legislation. A transfer pricing audit may be initiated by tax authorities in case of non-filing (or filing with errors) of a transfer pricing report or non-provision of transfer pricing documentation. A transfer pricing audit is conducted off-site, based on the transfer pricing documentation provided by the taxpayer. The duration of a transfer pricing audit may not exceed 18 months. However, under certain conditions (for example, a request for information from foreign tax authorities or conduct of expertise), it may be extended by an additional 12 months. The conduct of a transfer pricing audit does not prevent the tax authority from conducting other tax audits of the reviewed taxpayer. Generally, the reporting requirements for different types of taxpayers (business entities and individuals) are the same for each tax paid or reported. The difference, however, is that individuals file tax reports only in exceptional (expressly specified) cases. For example, if an individual receives income from a foreign source he or she is required to file an annual tax return for Personal Income Tax. Private entrepreneurs, in addition, report for Corporate Profit Tax and Value Added Tax. Depending on the reporting period the Tax Code establishes the following reporting deadlines: for monthly reporting periods - within 20 calendar days following last day of the reporting month; for quarterly (half-year) periods - within 40 calendar days following last day of the quarter (half-year); for calendar year - 60 calendar days for business entities, 40 calendar days for private entrepreneurs, and until 1 May of the following year for individuals. As noted in question 3, the Tax Code provides that the duration of tax audits (reviews) of big taxpayers is generally longer than for other taxpayers, especially for small businesses. during the course of the transfer pricing tax audit. The Tax Code provides that during a tax audit the taxpayer should provide the tax authority with all the documents connected with the scope of the tax audit. Generally, such information consists of copies of the transaction documents (contracts, invoices, acts of acceptance, delivery documents, etc), financial information, business books and records. Furthermore, the Tax Code, under certain conditions, grants the tax authority the right to request information from taxpayers outside of the tax audit. Generally, taxpayers have 15 working days for provision of the requested information (10 working days if the information is requested during a cross-audit). In addition to requesting information, the tax authority has the right to interview the taxpayer’s employees and its officials. However, the Tax Code allows such interviews only during the transfer pricing audits. In practice, however, the representatives of the tax authorities conducting any tax audit usually conduct unofficial interviews with the taxpayer’s chief accountant or accountants regarding the peculiarities of such taxpayer business activities and tax accounting. If the taxpayer does not provide the information requested by the tax authority, the tax authority may initiate an unscheduled tax audit of such a taxpayer. Ukrainian legislation has special protection mechanisms for commercial information, business secrets or professional advice. Generally, Ukrainian legislation not only defines what information may enjoy protection as business secrets and information covered by banking secrecy or attorney-client privilege. It also defines when such information may be disclosed. In practice, Ukrainian taxpayers often seek protection of sensitive commercial information and business secrets from the tax authority and disclose it only under the conditions prescribed in legislation. Even when taxpayers have provided the tax authority with commercial information, the Tax Code provides that the tax authority should not disclose confidential commercial information, which includes state or banking secrets. Officials of the tax authority may disclose such information only upon written consent of the taxpayer that provided such information. the date of the actual filing of the tax return, whichever is later. After the expiration of this period of limitations, the taxpayer may not be assessed by additional taxes, tax penalties or late payment interest with respect to such past due tax liability. A tax dispute may be settled either during the course of an administrative appeal procedure (within the tax authority) or in court. During an appeal procedure, either administrative or in court, the requirement to pay a tax assessment notice is suspended. In general, the taxpayers have 10 calendar days from the day of receiving the tax assessment notice (or other decision of the tax authority) to initiate administrative appeal procedure. The taxpayer should file the appeal to the higher level tax authority; the decision of the local tax authority is appealed to the regional tax authority; and the decision of the regional tax authority is appealed to the national tax authority. In addition, the taxpayer should notify the tax authority whose decision is being appealed about the filed appeal. amend the decision that is being appealed. The tax authority reviewing the appeal has the right to extend the duration of the appeal review up to 60 calendar days. However, if within a 20 calendar day period, the taxpayer is not notified by the tax authority reviewing the appeal about either the decision adopted or the extension of the review duration, then the taxpayer’s appeal is deemed to be satisfied in full. Ukrainian legislation provides a two-tier appeal procedure for decisions of the local tax authorities. Thus, the decisions of local tax authorities may be appealed to the regional tax authority and to the national tax authority within 10 calendar days after the decision of the regional tax authority. the taxpayer applies for delay of tax payment or payment of tax due by instalments. After exhausting the administrative appeal procedure the taxpayer has 10 calendar days to initiate a court appeal in order to avoid the tax assessment becoming due. In order to collect overdue tax payments following a tax review, the tax authority uses its right for tax liens over the taxpayer’s property. A tax lien over the taxpayer’s property arises when the tax payments of the taxpayer are overdue or when the taxpayer concludes an agreement with tax authority for delay of tax payment or payment of tax in instalments (the amount of delayed or restructured tax should exceed 1 million hryvnia). The tax lien over a taxpayer’s property arises according to the provisions of the Tax Code and does not require any written formalisation. A tax lien does not cover assets that cannot be subject to lien and mortgage assets that act as security under mortgage-backed securities. After taking the decision to impose a tax lien, the tax authority registers the lien in state registers of encumbrances over movable and immovable property. The priority of a tax lien over other encumbrances (including liens) is regulated by law. Therefore, encumbrances that existed before the tax lien have priority over the tax lien. The taxpayer may sell property covered by a tax lien only after approval from the tax authority, or if the taxpayer does not receive any response from the tax authority within 10 days after submitting such a request for approval. The taxpayer may sell finished products or goods without the approval of the tax authority if the proceeds from such sale will be used in full amount for payment of salaries, social security contributions and overdue tax. penalties for failure to submit complete or timely transfer pricing documentation (up to 300 minimum salaries). Penalties are calculated depending on the type of violation. In some cases, penalties are imposed for a fixed amount (eg, late filing of a tax return); and, in other cases, penalties are calculated as a percentage of tax due (eg, discovery of back taxes during a tax audit). Defence against penalties may be administrative or court appeal. Against some penalties, such as late filing of a tax return, there is no defence unless such untimely filing is caused by force majeure circumstances. In other cases, when the amount of the penalty is linked to the amount of taxes assessed during a tax audit, taxpayers should appeal either in administrative or court proceedings the assessment of the tax audit and thus seek defence. The tax authorities may collect interest in the case of untimely payment of tax due. The Tax Code provides a different start date and interest applied to the amount of tax due depending on whether the amount of tax due was calculated by the tax authority or by a taxpayer (tax agent). Thus, in cases when the tax due is calculated by the tax authority, the interest is calculated from the first working day after the amount of tax was due for payment. In such cases, the interest is calculated for each day of payment delay in the amount of 120 per cent of the national bank’s discount rate. In cases when the tax due is calculated by the taxpayer (tax agent), the interest is calculated after 90 days from the day when the amount of tax was due for payment. In such cases, the interest is calculated for each day of payment delay in the amount of 100 per cent of the national bank’s discount rate. If, after the tax audit, the tax authorities assess additional taxes at more than 881,000 hryvnia (for 2018), a criminal investigation may be initiated. The officials of the taxpayer (general manager and chief accountant) could be held accountable for tax evasion. Depending on the gravity of tax avoidance, these officials would be held accountable by paying a fine of up to 425,000 hryvnia and would be prohibited from occupying certain positions or engaging in certain activities for a term of up to three years. In certain cases, property may also be confiscated. Generally, Ukrainian legislation provides for criminal liability of legal entities. Legal entities could be held criminally responsible for crimes such as money laundering, bribery, undue influence, terrorism, certain crimes against national security and peace, public security and public order. Ukrainian legislation does not provide for criminal liability of legal entities for tax evasion. The most recent enforcement record of the tax authorities is for the period from 1 January 2018 to 1 June 2018. In first five months of 2018, the tax authorities conducted 7,376 tax audits, the results of which were agreed by taxpayers. Therefore, considering that taxpayers usually appeal the results of tax audits, the total number of conducted tax audits is even higher. Out of 7,376 audits, 1,711 were scheduled and 5,665 were unscheduled. As a result of the findings of such tax audits, the tax authority has issued tax assessment notices for the amount of 7.2 billion hryvnia, of which 995 million hryvnia was assessed during scheduled audits and 6.2 billion hryvnia during unscheduled audits. In principle, the tax authority may involve third parties as part of the review of the taxpayer’s tax returns. However, in most cases when the tax authority uses a cameral tax audit to review the taxpayer’s tax returns, it sends information requests to the taxpayer whose tax returns are being reviewed. Rarely, when there are mistakes with VAT invoice registration, information requests may be send to third parties - counterparties of the taxpayer. More often, the tax authorities request information from third parties during documentary audits of the taxpayer. Such information requests are usually done to cross-audit information provided by the taxpayer during a documentary audit. The tax authorities have the right to interview employees of the taxpayer only during a transfer pricing audit; such an interview right does not include third parties. If third parties do not provide the information requested by the tax authority in its request, the tax authority may initiate an unscheduled tax audit of such third party. The Ukrainian tax authorities cooperate with other authorities within the country. For example, local tax authorities in different regions cooperate to conduct cross-audit of taxpayers located in different regions of Ukraine. The tax authorities cooperate with customs offices regarding payment of import VAT during import or other tax issues connected with import and export operations. In addition, the tax authorities cooperate with the Ukrainian treasury (for example, regarding refund of overpaid taxes) and exchange information with other state authorities. The power of the Ukrainian tax authorities to obtain tax-related documents or information is not enforceable outside Ukraine. Therefore, the tax authorities cannot oblige foreign third parties to provide such documents or information. However, the Ukrainian tax authorities may address foreign tax authorities with a request to assist in obtaining documents and information from third parties located in their own foreign jurisdiction. According to the applicable double tax treaties, the Ukrainian tax authorities may request tax-related information from foreign tax authorities. Most of the effective double tax treaties of Ukraine provide for an exchange of information along the lines established by the OECD Model Treaty. In addition to the information exchange mechanism provided by double tax treaties, Ukraine is a party to the 1988 Convention on Mutual Administrative Assistance in Tax Matters (the Convention), with some reservations. assistance in the service of documents, including those related to judicial decisions. the Duty for the Use of Natural Resources. Ukraine has reserved the right to fulfil the requests of other parties to the Convention only with regard to taxes similar to those listed above; and not to provide administrative assistance with regard to tax claims outstanding on the date on which the Convention came into force for Ukraine. The tax authorities are required to maintain the confidentiality of all of the information in their possession concerning a taxpayer, except for information in the public domain. Taxpayer information may be disclosed to a third party only on the basis of a judicial decision. The Tax Code clearly states that its provisions do not apply to entities that are in the process of bankruptcy proceedings. Ukrainian bankruptcy legislation provides that a moratorium on satisfaction of existing creditors’ claims (including the tax authorities) is introduced once bankruptcy proceedings are initiated. During bankruptcy proceedings, taxpayers are responsible for payment and reporting of taxes that arise during such proceedings (including, but not limited to, Personal Income Tax and Unified Social Security Contribution). However, if the taxpayer fails to pay such taxes, no penalty and interest is calculated on such late payments. Once the taxpayer is recognised as bankrupt and liquidation is initiated, the claims of the tax authority that developed during the bankruptcy proceeding have a higher priority over the claims of other creditors. However, such tax authority claims are satisfied only after payment of salaries, court fees, social security contributions and other related expenses. Other tax claims that were established before the bankruptcy proceedings were initiated are satisfied together with the claims of other creditors. There are no voluntary disclosure or amnesty programmes currently effective in Ukraine. Tax Code expressly states that the tax authorities should act according to the constitution of Ukraine, the laws of Ukraine and other legislative acts. Moreover, the tax authorities should not violate the rights and protected interests of individuals and legal entities. Taxpayers may obtain information from the SFS through a request to obtain public information. The request can be submitted to the tax authority in paper form, electronically, via mail or by telephone. The taxpayer may prescribe the preferred form of response. The response should be given within five days after the date of the receipt of the request or within 20 days if the preparation of a response requires the processing of a large amount of data. The SFS also provides extensive information on its official website, including information about organisational structure, functions, mission and main duties, financial resources, regulatory acts and their projects, reports, and son on. The tax authority has a special telephone number that can be used by taxpayers to receive information, for consultation and to report the actions of tax authority officials that may be unlawful or contradictory to anticorruption laws. If the protection or realisation of the taxpayer’s rights is dependent on information about another person, such taxpayer may address the court to receive a court order for access to such information. Public information is classified as information with unlimited access and information with limited access. Taxpayers are able to request information with unrestricted access and can get access to information with limited access under certain conditions. Information with limited access includes confidential, secret and official information. Access to confidential information may be allowed only after the consent of the person or legal entity that limited access to the information. Secret information may be accessed in cases and in accordance with the procedure prescribed by the law. Official information has limited access based on the decision of the official body. The SFS classifies certain information as official information (about tax inspections, activities with respect to state secrets, software and digitalisation, law enforcement activities, etc). The SFS is coordinated by the Cabinet of Ministers through the Minister of Finance. The Minister of Finance is responsible for issuing obligatory orders to the SFS. He or she has competence to approve the appointment and dismissal of heads of structural and territorial bodies. The Minister of Finance may initiate before the Cabinet of Ministers the cancellation of regulatory acts of the SFS. The initiation of disciplinary responsibility of the officers or internal investigation in the SFS is also the competence of the Minister of Finance. Moreover, the SFS is responsible for the submission of monthly reports about its activity to the Ministry of Finance. The compliance of tax authority officials with the laws and, especially, anticorruption laws is controlled by the state law enforcements bodies, including the National Anticorruption Bureau of Ukraine. In addition, taxpayers may address the Business Ombudsman to investigate complaints concerning alleged acts of corruption and other violations of legitimate interests of businesses by actions, omissions and decisions on behalf of state authorities, including tax authorities and their officials. An investigation may be initiated by complaint of a taxpayer or on the Business Ombudsman’s own initiative if he or she discovers the alleged act from any source. to dismiss the complaint as unsubstantiated. Since the Administrative Procedure Code came into force on 1 September 2005, all tax disputes have been referred to the jurisdiction of the system of administrative courts of Ukraine. the Supreme Court as the court of third instance. In exceptional circumstances, a motion for judicial review may be filed with the Supreme Court and the case will be reviewed by the Great Chamber of the Supreme Court. The legal grounds for addressing the tax dispute to the administrative court is for the protection of the taxpayer’s rights, freedoms and interests. Taxpayers have six months to file a claim before the administrative court. This period is calculated from the date of receiving a decision from the tax authority and, if a taxpayer used his or her right for administrative appeal, the three-months term calculated finalising the administrative appeal procedure within the tax authority is applicable. Please note that this general term is applicable for challenging tax assessment notices as, according to the clarification of the Highest Administrative Court of Ukraine, a taxpayer has 1,095 days (three years) to challenge a tax assessment notice. The court fee for filing a claim challenging the tax authority’s assessment is established to be 1.5 per cent of the amount of the claim but may not be less than 1,841 hryvnia (1,921 hryvnia from 1 December 2018) and is capped at 644,350 hryvnia (672,350 hryvnia from 1 December 2018) . The enforceability of the tax assessment notice is suspended once a claim has been filed by the taxpayer with the court of first instance within 10 days upon the receipt of such notice by the taxpayer. The enforceability of the notice is normally suspended until the court of second instance has rendered its enforceable decision in the case. in order to request collection of funds from the tax authority. The court may decide to bring together the separate tax claims of one taxpayer or similar tax claims of different taxpayers. However, in practice, the Ukrainian administrative courts seldom use this right in tax cases. No, the taxpayer disputing a tax assessment does not pay the amount in dispute before bringing a tax claim. The taxpayer must pay the court fee, which depends on the amount of tax assessment that he or she wants to challenge. the costs of reviewing evidence where it is located. The general rule is that the court awards compensation for the court expenses of the winning party from the party that lost the case. The idea is that the winning party should not bear losses due to court proceedings. If the court decision is awarded in favour of the taxpayer, the court awards compensation for the court costs of the taxpayer against the tax authority. These costs must be confirmed by documents. If the court decision is in favour of the tax authority, the taxpayer must compensate the tax authority for the cost of involving witnesses and conducting forensic examinations. If the court decides to partially satisfy the claims of the taxpayer (or tax authority), then the compensation for court costs is awarded to each side in proportion to the satisfied claims. 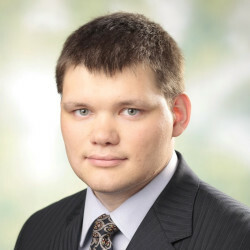 Ukrainian legislation does not provide any restrictions or rules on third-party funding or insurance for the costs of a tax dispute, including bringing a tax claim to court. The decision maker in the local administrative courts is the judge hearing the case. In exceptional cases (eg, challenging a resolution of the Cabinet of Ministers of Ukraine), the panel of judges will consider the case in a local administrative court. In appellate administrative courts, tax disputes are heard by a panel of three judges and, in the Supreme Court, by a panel of three judges or more (the number of judges will be odd). No jury trial is available to hear tax disputes. As a general rule, the local administrative court must review the case with respect to substantive matters and issue a decision within 90 days from the date of opening of the case. However, in practice, such time frames are extended and the decision of the first instance court can take up much more time depending on the circumstances of the case. The appellate administrative courts should review the appeal complaints within 60 days after opening the appeal proceedings. However, due to the fact that the tax authority appeals almost all decisions made not in its favour, a taxpayer should be prepared for cassation appeal of the appellate administrative court decision. In Ukrainian court practice, it is common that the final decision of the Supreme Court in tax trials is awarded more than a year after the initial filing of the tax claim. The Administrative Procedure Code provides that the position and arguments of the each party to the case, including the taxpayer, should be supported by evidence. The administrative courts accept witness testimony along with the other forms of generally accepted evidence - oral and documentary. The taxpayer is not required to testify in tax disputes. The administrative courts recognise electronic documents as documentary evidence. In practice, taxpayers usually submit documents generated from electronic sources (eg, printouts of emails) as evidence. It is unlikely that the administrative court will make a decision in tax trials based on electronic documents as evidence alone. Upon request of either party, but at the court’s sole discretion, the court may order expert examination of issues that require specialist knowledge. Expert opinions must be given by competent agencies or individual specialists. Furthermore, they must contain a detailed description of the analysis performed and the conclusions reached, as well as providing substantial answers to the questions raised by the court. In general practice, all evidence reviewed by the administrative court should be translated into Ukrainian; otherwise such evidence may be considered inadmissible. Taxpayers may represent themselves in tax trials. In addition, they may appoint representatives to represent them. Recent amendments to the Constitution of Ukraine regulate representation of taxpayers before the courts. Before 1 January 2017, any duly authorised individual could represent any person in court, except for criminal proceedings. From 1 January 2018, only state-licensed advocates are allowed to represent clients in appeal and cassation matters. From 1 January 2019, this will also be the case for the courts of first instance . Also, a person who is authorised by statutory documents of a legal entity to represent it without power of attorney is entitled to represent it before the court of any instance. In tax trials, the same rules are applied to the tax authority. Tax trial proceedings are public. However, in exceptional cases, the administrative court may declare a court session or a part of it as closed. Grounds for declaring court proceeding as closed include, among others, non-disclosure of state secrets or other secrets protected by law, protection of privacy or protection of the interests of a minor. As a general rule, a taxpayer may not be held liable for a tax violation and, thereby become subject to tax penalties, unless the tax authorities prove that the taxpayer is at fault. The tax authorities have the burden of proof regarding those facts and circumstances that establish or substantiate the tax claim brought by them. In practice, this is not a very heavy burden for the tax authorities to prove. After receiving the court claim in tax trials, the judge of the local administrative court reviews the claim regarding compliance with requirements set out by the Administrative Procedure Code. If the claim is not compliant then the judge may, depending on the circumstances of the case, return it to the claimant; leave it without consideration; or deny opening the proceedings. If the claim is compliant then the judge opens the proceedings. appoint a preliminary court hearing. During the preliminary court hearing, the judge reviews the claim and objections; reviews the persons involved in the case; reviews the facts to be discovered during the proceeding and whether the facts of the case are disputed or accepted by the parties; specifies the list of evidence that the parties intend to bring and the time for their submission; and sets the date and time of the court hearing. retirement of the court for deliberation in camera and announcement of the decision. Often the court may announce only the resolution part of the decision, providing the full text within a five-day period from the announcement of the resolution part. The administrative court decision may be appealed to the appellate administrative court by filing an appeal complaint. Such appeal complaint should be filed with the first instance court within 30 days after the decision is announced (15 days after the ruling was given) or, in cases when whole text of the decision is prepared at a later date, within 30 days after the decision was rendered or 15 days after the ruling was given by the first instance court. Similar to the court of first instance, the appellate administrative court may either change the decision of the court of first instance or cancel it and render a new decision in the case. Decisions of the appellate administrative court may be further appealed by filing a cassation complaint. A cassation complaint may be filed with the Supreme Court within 30 days from the date the decision was rendered or ruling was given by the appellate administrative court. On 6 July 2018, the President of Ukraine submitted to the Verkhovna Rada a draft law ‘On Introduction of Changes to Tax Code of Ukraine Regarding Distributed Profit Tax’ (the Distributed Profit Tax Law) that, if adopted, will replace the corporate profit tax, starting 1 January 2019. The tax regime would be similar to the regime used by Estonia and the regime adopted by Latvia this year. Distributed Profit Tax Law proposes to levy a tax on profit distribution transactions at rates of 5 per cent, 15 per cent and 20 per cent (depending on the type of transaction). On 23 July 2018, the acting Minister of Finance of Ukraine signed the Multilateral Convention to Implement Tax Treaty Related Measures to Prevent Base Erosion and Profit Shifting (the MLI). Ukraine has become an 83rd jurisdiction to sign the MLI. Upon Ukraine ratifying the MLI, its provisions will become effective and will supersede the respective double tax treaties in force between Ukraine and those jurisdictions that sign and ratify the MLI by then. The envisaged MLI modifications to tax treaties include the introduction of provisions with regard to preventing treaty-shopping arrangements, limitation of benefits under the treaties, among others. CMS Reich-Rohrwig Hainz is one of the leading law firms in Austria and Southeast Europe. Because we are specialists, our lawyers and tax advisors are able to provide you with advice of the highest calibre and sophistication, both from a legal perspective as well as through our industry specific know-how.